In 2015 Bosch Timber Floors expanded its business focus to include commercial projects. With a long history in timber flooring, the business has been well placed to take advantage of significant growth in timber flooring being specified for high end apartment complexes. The business embarked on its first major project at the Freshwater Apartments project in Claremont under major contractor Pindan. The project required a mixture of engineered blackbutt and natural bamboo floors totalling approximately 2000m2 across 58 individual apartments. General Manager Richard Catlin took a hands-on approach to the project management of such an important job. This involved recruiting subcontract installation teams of suitable quality, understanding the logistics of getting product on site efficiently, observing the important safety requirements and ensuring the installations met acoustic requirements that restrict the transmission of sound in between apartments. The business knowledge of the best products and the best installation teams was a very important part of completing this project to a high standard on time. A great outcome was achieved and Bosch Timber Floors enjoyed the opportunity to work with the very professional Pindan company. The success in this project led to a similar but larger installation of engineered oak in the Pinnacle Apartments in South Perth in 2016 under the direction of main contractor Jaxon. A larger project of 3000m2 and approximately 100 apartments were completed again with good success and efficiency. The experience gained at the Freshwater project in 2015 was put to good use in this project and further efficiencies were developed that enabled this larger project to be completed with great success. Bosch Timber Floors also completed installation of two smaller apartment developments of 600m2 each in 2015 and 2016 in Westminster and Quinns Rocks. 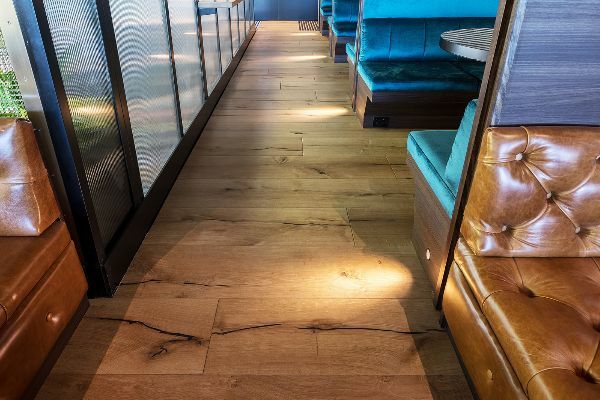 Not content with working on just apartment developments, Bosch Timber Floors have also completed timber floor installations in several restaurant developments. 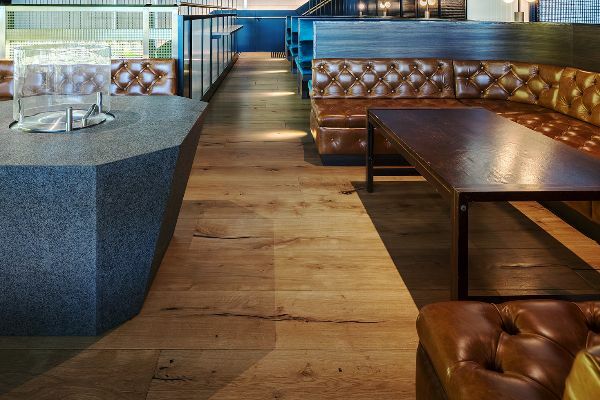 Early in 2016 Bosch Timber Floors supplied and installed a delightful chevron oak parquetry floor at the Reverley Restaurant in Elizabeth Quay. This has been followed with the installation of an outstanding engineered oak floor at the new “Simple” Italian restaurant in Murray Street in the city in 2017. More recently, our Marketta Tavern project has also been a standout with its rustic antique style engineered floor being a highlight of the new fitout.